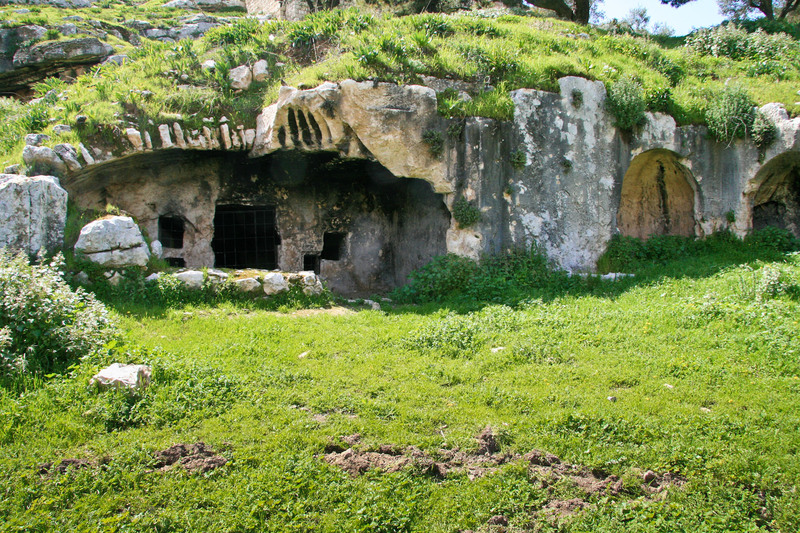 In Part I of this post I presented images of the exterior of the tomb of Annas—a very influential High Priest (AD 6–15) whose sons, and later son-in-law, Caiaphas, succeeded him in that office. Annas is mentioned in the New Testament in Luke 3:2; John 18:13, 24; and Acts 4:6. 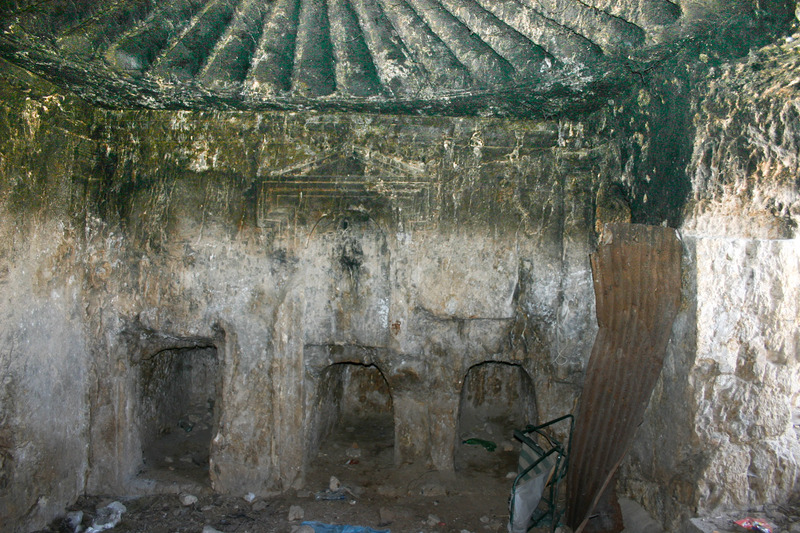 Today I present some images of the interior of this tomb that is actually much better preserved than its exterior. Click on the images to view high-resolution versions—and save if you wish. I’m sure you have noticed the collection of trash!#$@! 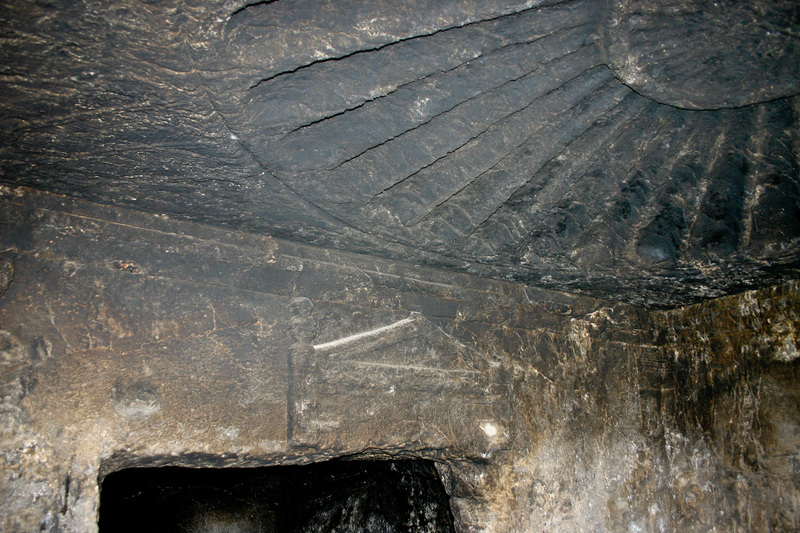 In the lower portion of the image there are three openings that lead into long chambers into which bodies of the deceased were placed (loculi; singular loculus). 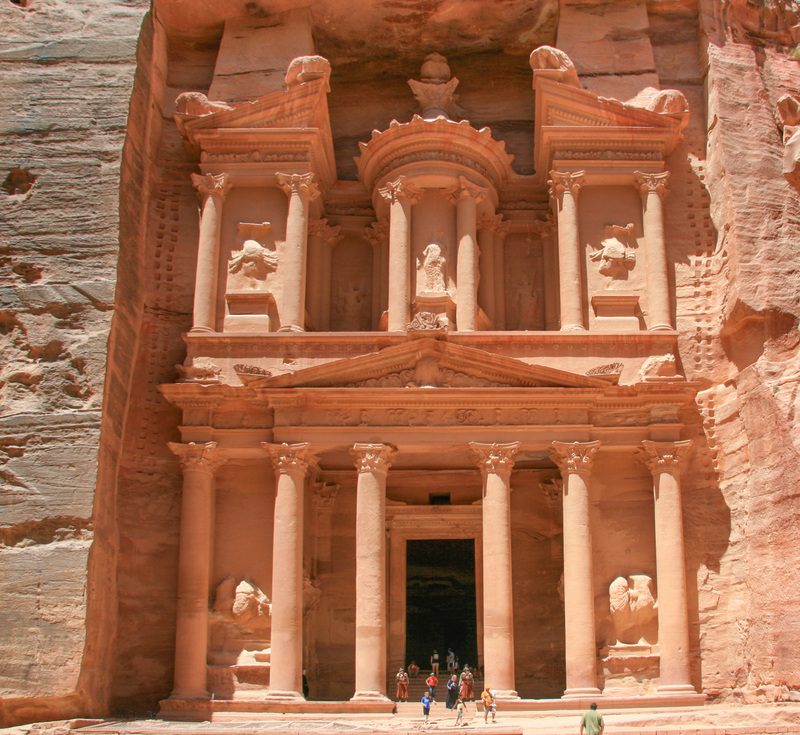 The Ritmeyers have suggested that Annas the High Priest was actually buried in the central chamber! Above the central chamber please notice the carvings in the rock representing doorposts, a lintel, a gabled (triangular shaped) roof. At the very top of the image note the finely carved rosette pattern!! There are 32 petals in this magnificently carved rosette. 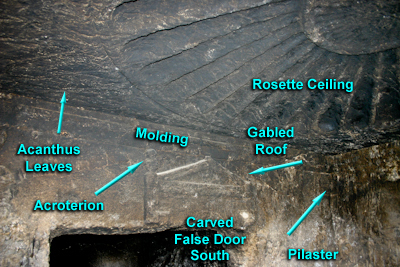 This rosette is unique except for a smaller one in the back room of the so-called Tomb of Absalom AND a very large one in the Double Gate that leads into the Temple Mount Complex!! Notice the fine details carved into the stone wall: the gabled roof pediment, lintel, the door posts, the acroterion(! ), and the molding. At the very top of the image note a small portion of the finely carved rosette pattern!! AND, in the upper left portion of the ceiling the outline of a large carved acanthus leaf (there was one in each of the corners of the ceiling within this tomb. In the lower right quadrant, where the two walls meet, note the vertical carved pilasters and also the molding on the walls where they meet the ceiling. 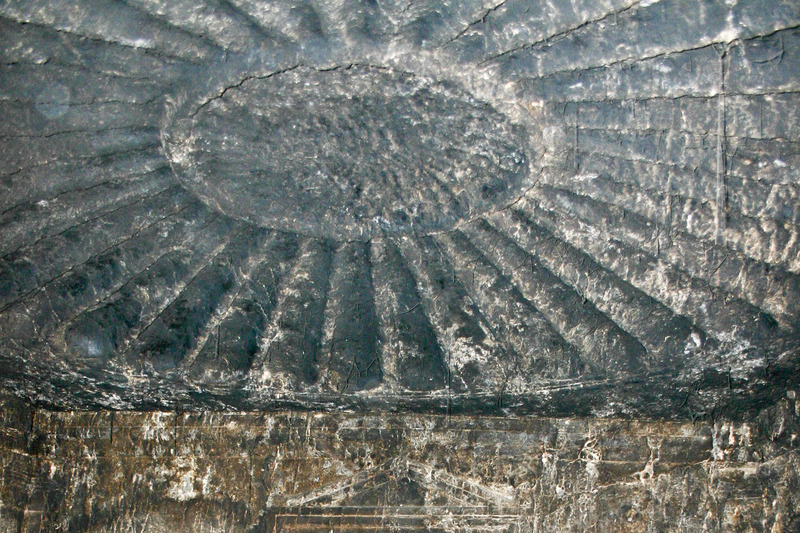 Deeply carved, 32 petal rosette ceiling in the Tomb of Annas. 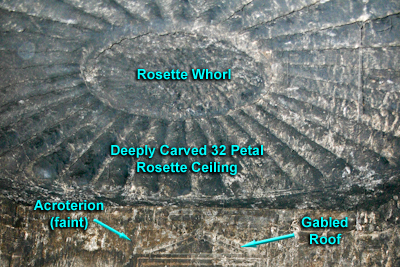 There are 32 deeply carved petals in this rosette. 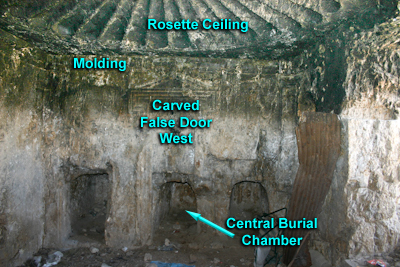 This rosette is unique except for a smaller one in the back room of the so-called Tomb of Absalom AND the larger one in the Double Gate that leads into the Temple Mount Complex!! Near the center of the image is a circle from which the 32 rosette petals emanate. The circle is actually a whorl rosette with faint petals. To view additional images of both the interior and exterior of this tomb Click Here. For a detailed description of this, and other tombs in the area, as well as the logic that this is the tomb of Annas please seen the article by Leen and Kathleen Ritmeyer, “Akeldama: Potter’s Field or High Priest’s Tomb?” Biblical Archaeology Review 20 (1994): 23-35, 76, 78. 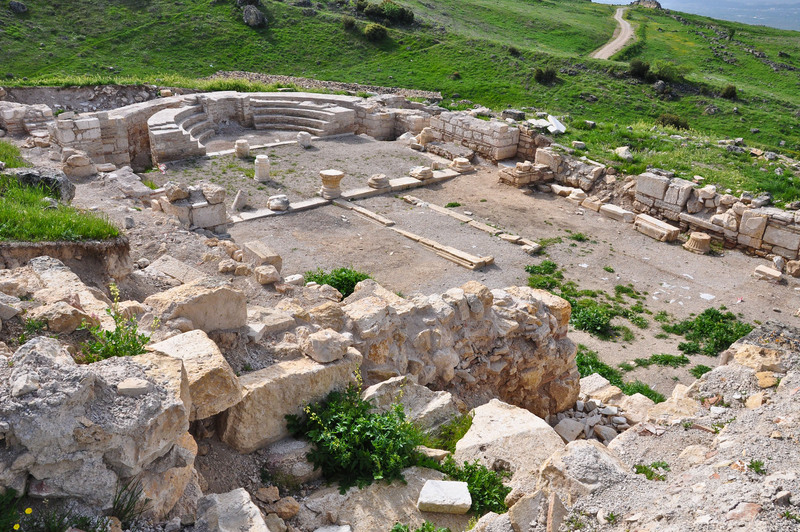 Annas was a very influential High Priest (AD 6–15) whose sons, and later son-in-law, Caiaphas, succeeded him in that office. 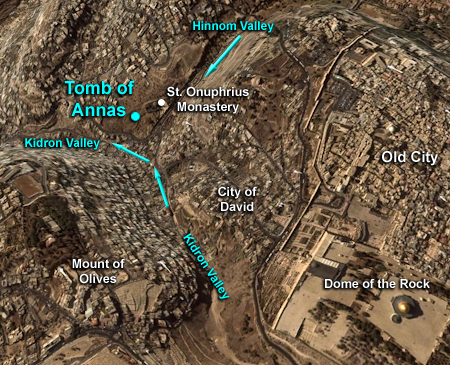 Annas is mentioned in the New Testament in Luke 3:2; John 18:13, 24; and Acts 4:6. 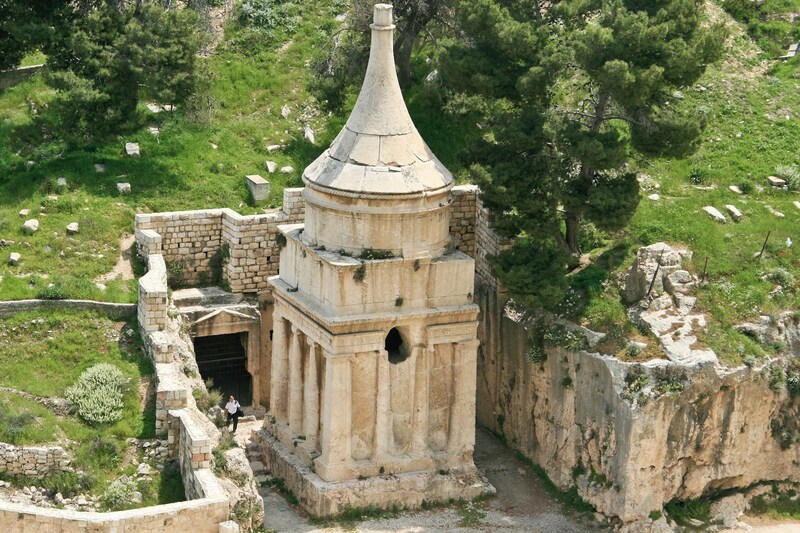 One of the most richly decorated tombs from the Second Temple Period is located on the southern slope of the junction of the Kidron and Hinnom Valleys. 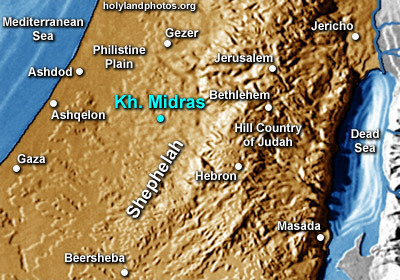 This is the area that some have called “Akeldama” or the “field of blood” that is associated with events surrounding the death of Judas. 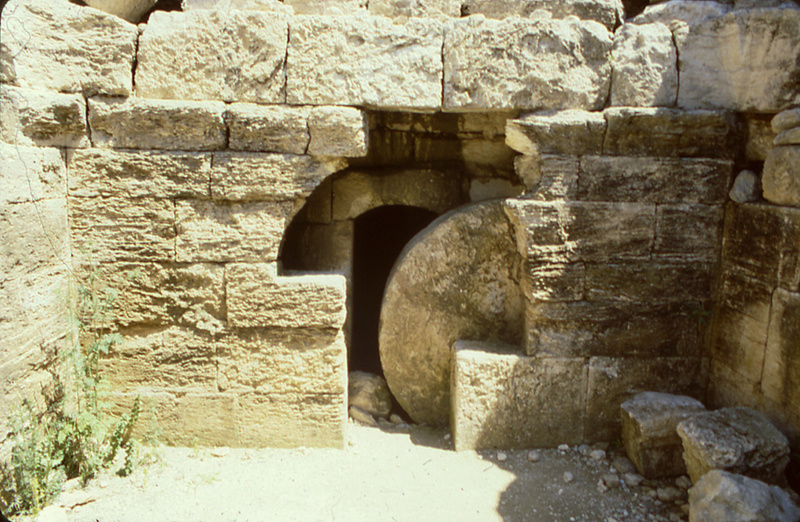 In 1994 Leen and Kathleen Ritmeyer published an article suggesting that this special tomb may have been that of one of the High Priests mentioned in the New Testament and elsewhere. The above images show a view looking south at the exterior of the tomb. On the right (west) side of the image notice the two semi-circular niches (for mourners/visitors?). 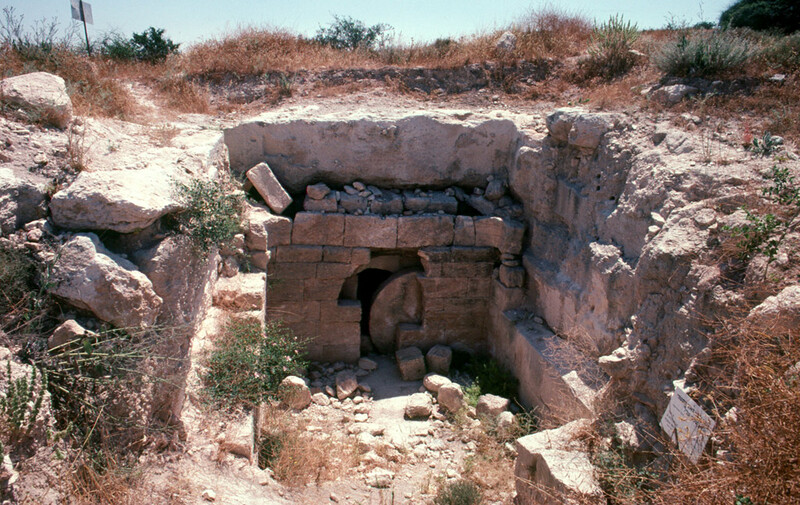 The entrance to the tomb has been heavily quarried/destroyed. 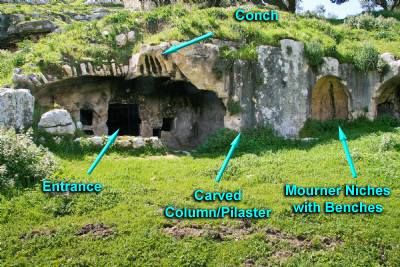 Notice the decorative partial shell conch over the now-almost-destroyed entrance to the tomb. Detail of west side of tomb with an engaged column (pilaster) and the mourner niches. When this photo was taken the tomb and forecourt were being used as a cattle pen! In the image above, remnants of an engaged column (pilaster) are visible as are two apses—possibly used by mourners and/or visitors. Standing in front of this tomb, looking north, one has a clear view of the Temple Mount—were Annas and his descendents had served. In the next post — images of the magnificent interior of this tomb! 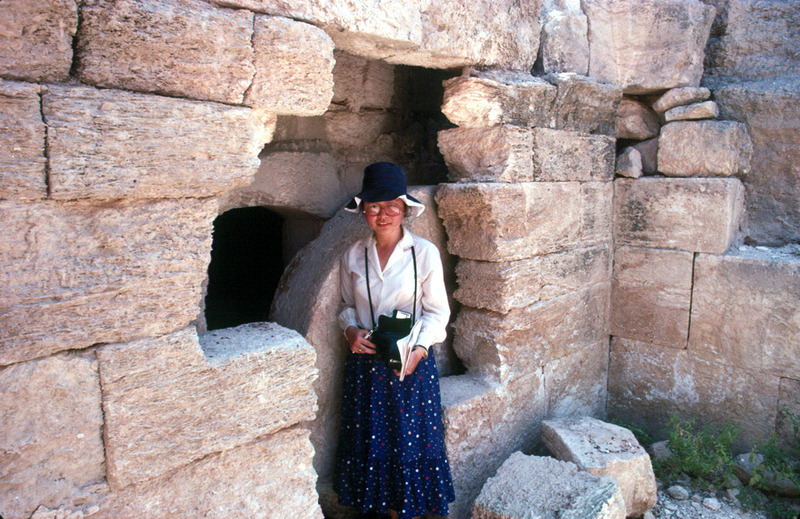 Spoiler alert: In the video, Gabi compares the Garden Tomb to other First Temple Tombs and contrasts the Garden Tomb with First Century Tombs. It is classic “Gabi.” Thorough, informative, and captivating—by THE authority on the archaeology and history of Jeruslem. 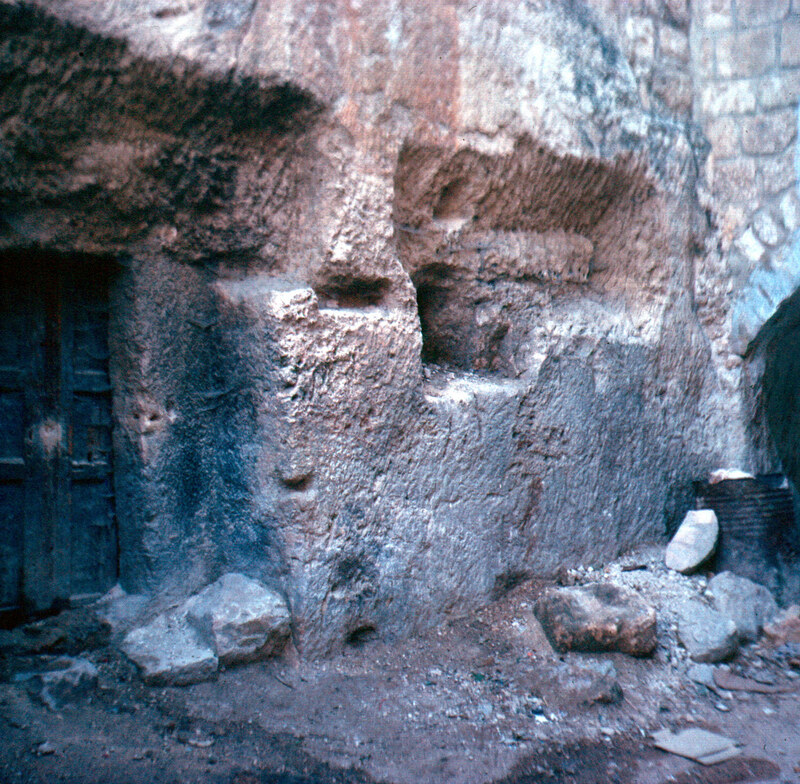 The entrance to the Garden Tomb. 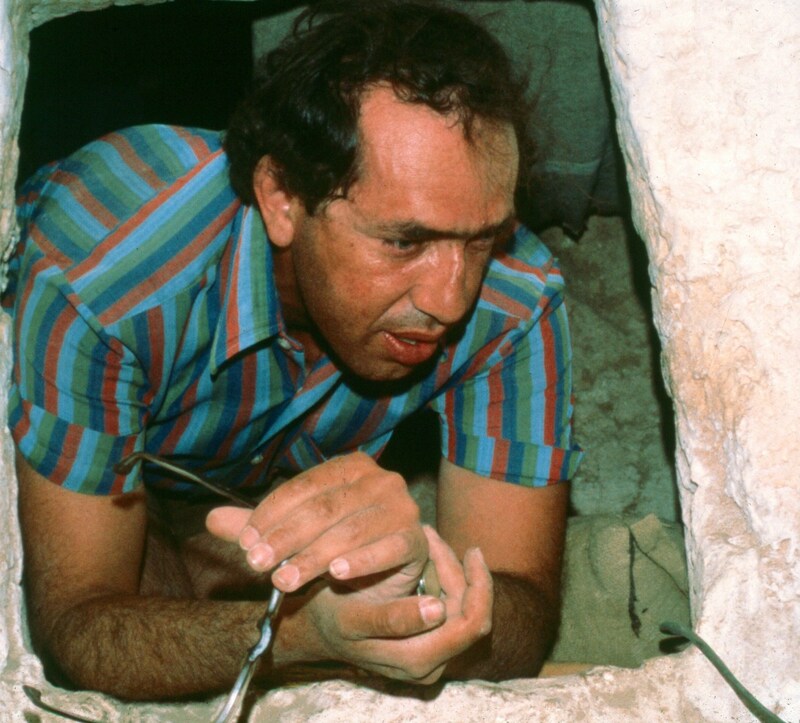 Gabriel Barkay peering into the burial chamber of one of the Ketef Hinnom Tombs — from the First Temple Period. 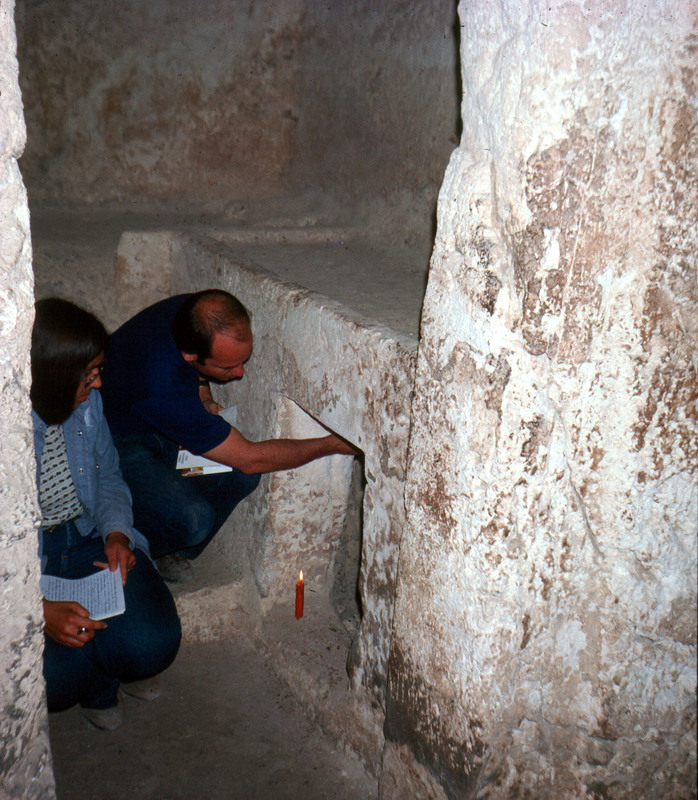 One of the burial benches and repository in one of the chambers in the First Temple (Iron Age) Tombs on the grounds of the Ecole Biblique. 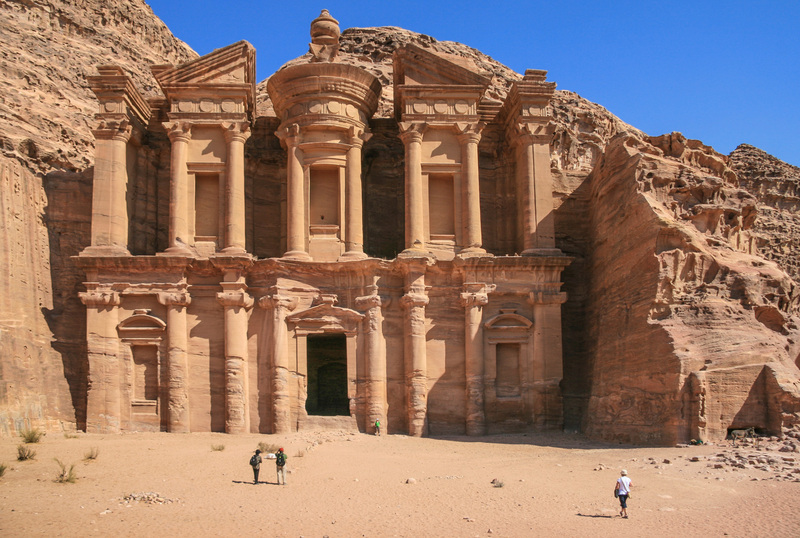 The village itself is built over 50 tombs from the 8th and 7th centuries B.C. 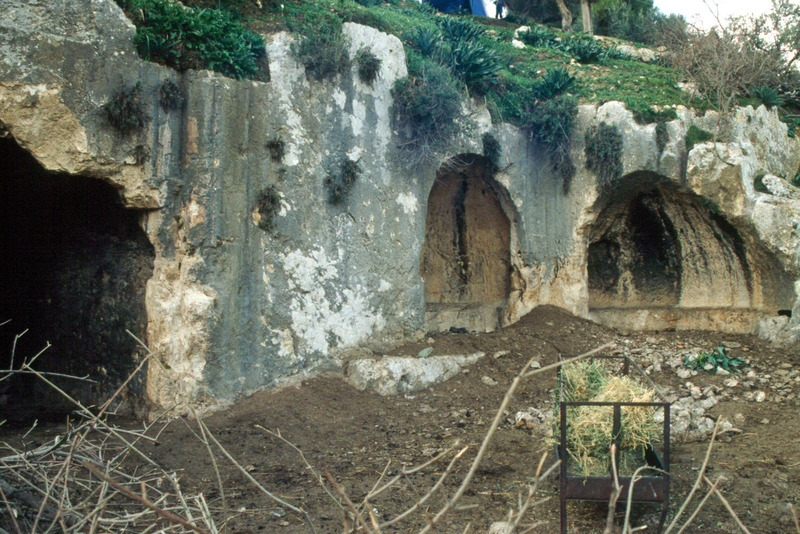 This necropolis – “city of the dead” – was investigated by David Ussishkin and Gabriel Barkay between 1968 and 1971. Travel to this area is very difficult (= impossible) for the inhabitants of Silwan are normally very hostile to outsiders. 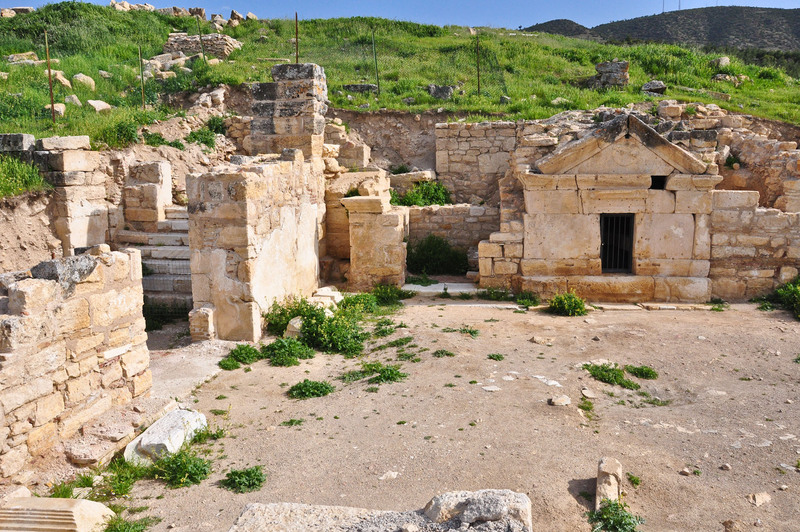 Unfortunately the second most important tomb from the First Temple Period is located in this village. This tomb was discovered by Clermont-Ganneau in 1870. 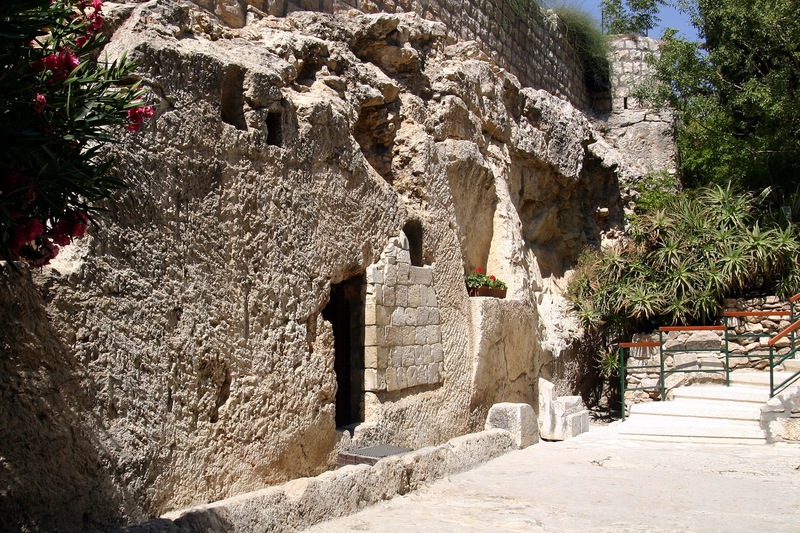 It had two Hebrew inscriptions – one above the door and the other to the right of it. 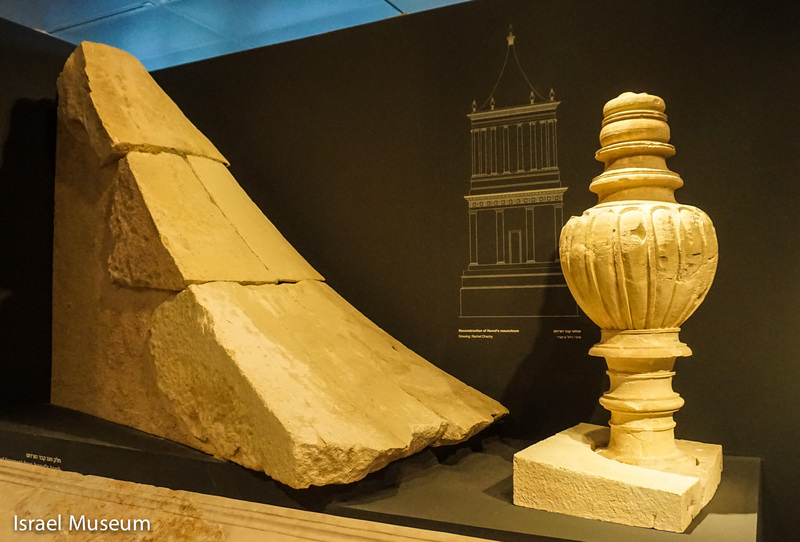 Both were carved out and sent to the British Museum where they are still housed. The largest inscription was over the door (note the large “gash” there). In the text the phrase “who is over the house” refers to a very important personage in the Judean government (about second to the king). His name, according to the inscription, was “. 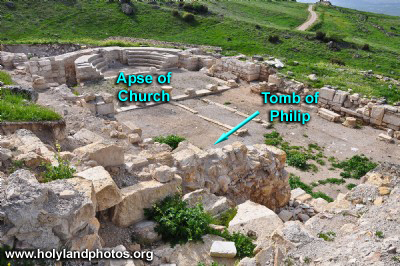 . . yahu.” Unfortunately the first part of his name is missing but many believe that the person who was buried here was none other than Shebna [yahu], the Royal Steward, whom Isaiah condemned for ‘hewing a tomb for himself on high’ – SEE Isaiah 22:15-17! 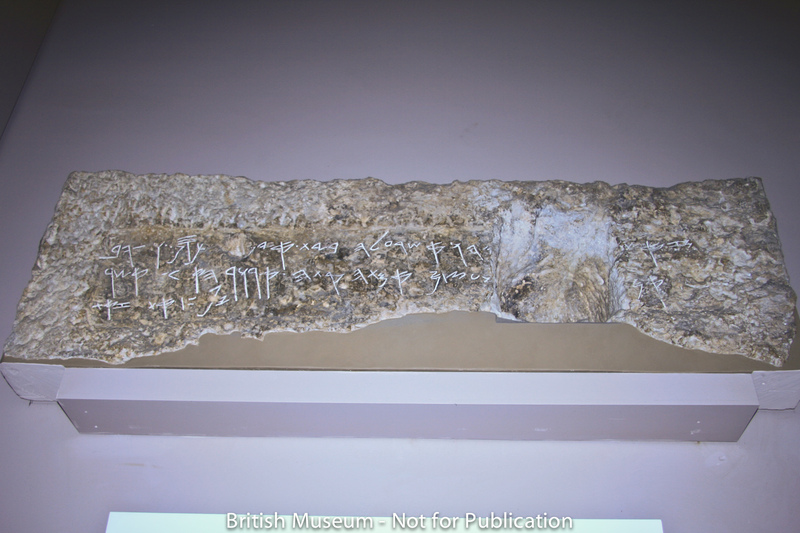 The amah (a female) mentioned in the inscription may also have been a very high functionary in the Judean government. 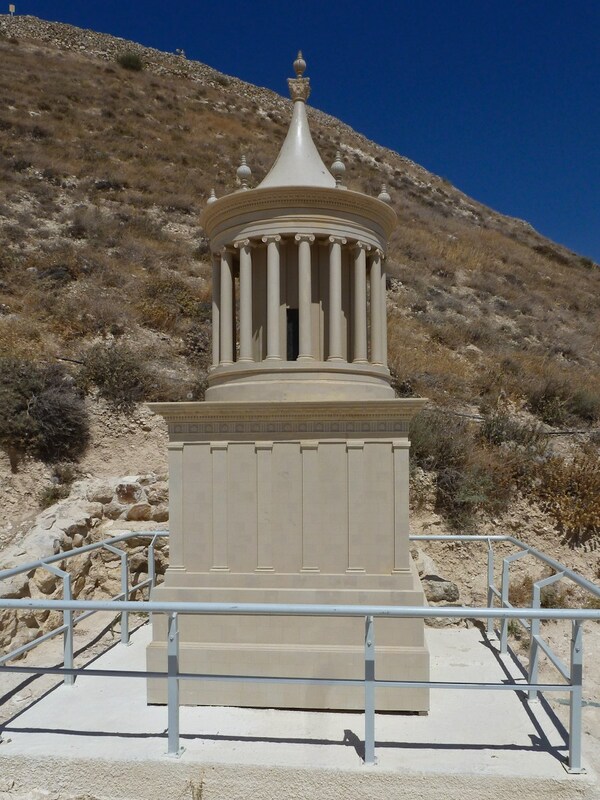 You also may be interested in viewing the First Temple Tombs found on the grounds of the Ecole Biblique in Jerusalem – Click Here.